EzyDog offers an entire range of leashes for smaller dogs – this is our Lite range. Since one size does not fit all much of the time, it is necessary for materials and designs to be crafted to be size appropriate. The function and durability of our top performing products have not been altered, but the width, weight and size of the Lite Leashes have been adjusted to make sure that the best results are achieved every time. EzyDog Lite Leashes are designated and tested for dogs under 26lbs. Light weight smaller sized snap hooks are the perfect fit for the smaller dogs. They do not weigh down or appear cumbersome on our little friends. They are the combination of perfect fit and function so that smaller dogs can be comfortable. 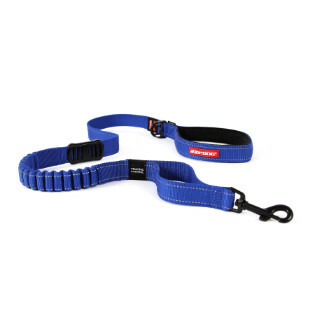 The webbing is much more narrow in the Lite range than the standard size leashes. The same proprietary Soft Touch Webbing is used, but at a narrower width for a comfortable fit. 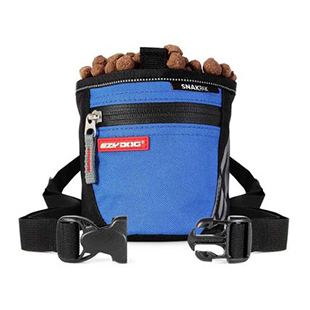 Lite Leashes include the Zero Shock Lite Leash, Soft Trainer Leash, Multi-function Vario 4 and Vario 6. The Lite version of the Soft Touch dog training leash is also available, as well as the Soft Touch Coupler. Vario 4 and Vario 6 Lite Leashes offer the same multi-function features as the standard versions. The length of the Lite Leashes is often longer than the standard version since the smaller dogs are closer to the ground and further from the walker. Don’t think that you will be missing out on features, such as reflective for nighttime safety or soft neoprene handles. We have been able to carry across almost every beneficial feature to the Lite range so that your smaller dog can hang with the big dogs every time. So be confident when you outfit your smaller dog with a dog training leash or every day leash from EzyDog! You won’t be disappointed!